Thank you for making our kick-off a success! Thanks to everyone who joined us for our kick-off on the 7th! 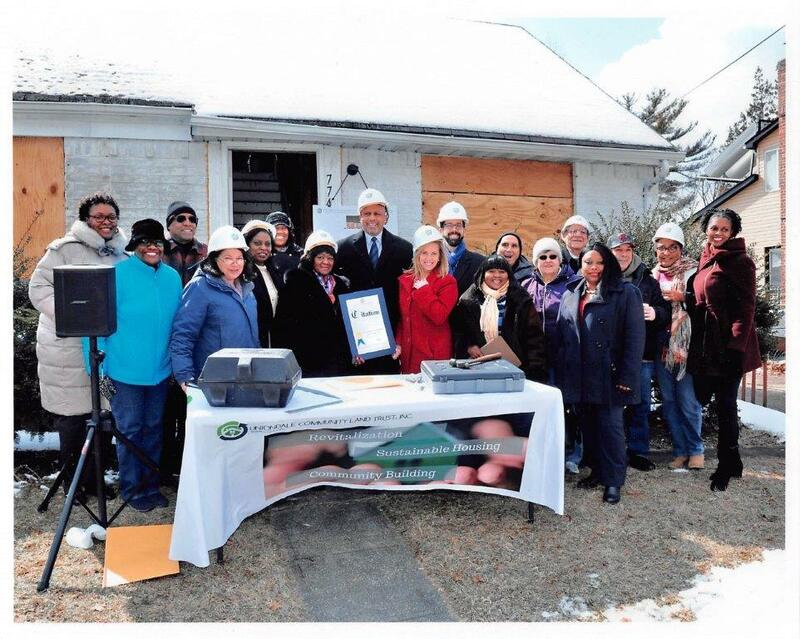 We were honored by the presence of our elected officials — Senior Councilwoman Dorothy Goosby, Town Supervisor Laura Gillen, and County Executive Laura Curran. Thanks also to the many partners, community leaders, and local clergy who celebrated with us, including members of the Uniondale Community Council, the Greater Uniondale Area Action Coalition, Uniondale Chamber of Commerce, Nostrand Gardens Civic Association, Nassau County Office of Housing and Community Development, Enterprise Community Partners, the Long Island Housing Partnership, and the National Center for Suburban Studies at Hofstra University. Last but not least, thanks to the Uniondale Fire Department, who have long supported our efforts and graciously provided a van for attendees to defrost on a frigid late-winter morning!